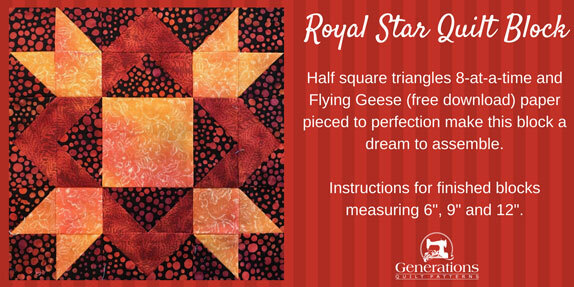 Our Royal Star quilt block is a dream to make with paper pieced Flying Geese pairs and half square triangles stitched 8-at-a-time. 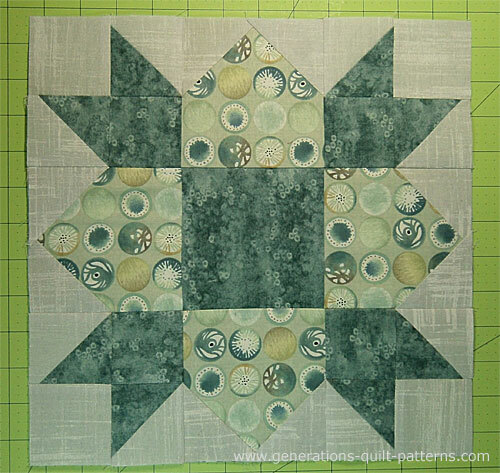 And if you don't have time to quilt today, Pin this tutorial for later. It's to to cut up and sew! 1/4" SA are used through this tutorial. When instructed to press, first press the patches in the closed position just as they came off your sewing machine. This sets the seam, melding the fibers of the threads into the fibers of the fabric. Then press the SA to the dark unless otherwise noted. 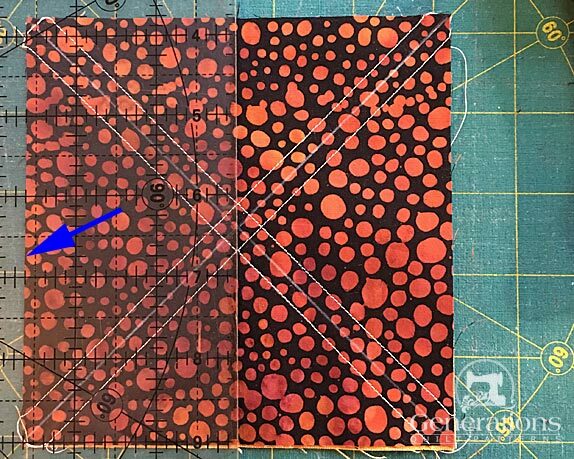 Paperpieced seams are always pressed towards the last patch added. 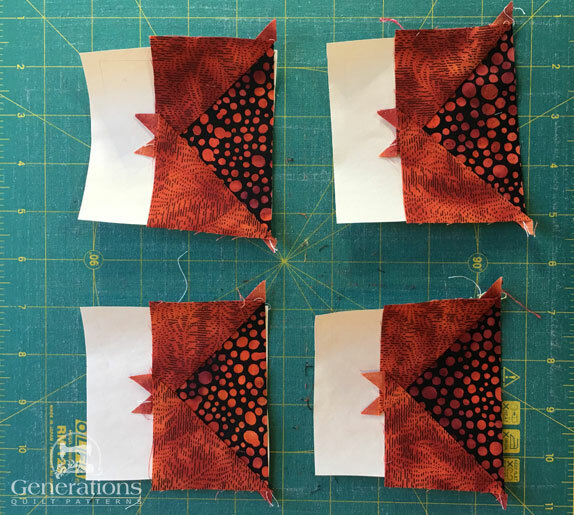 Choose your finished block size from the chart below and print the corresponding number of pages for a total of four Flying Geese Pair units. 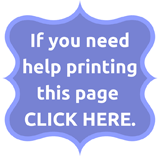 After printing, use the 1" square graphic on the printed page(s) the patterns printed at the correct size. Check that your units are the correct size before going any further. Cut out the units a bit past the outside dashed lines. There are no brownie points for cutting on the line. Remember to label your patches after cutting. 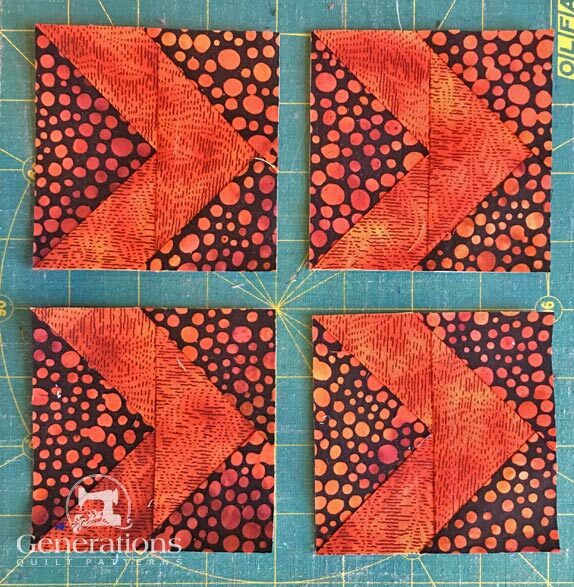 The half and quarter square triangles for the double Flying Geese (#2 and #3) are very close in size. 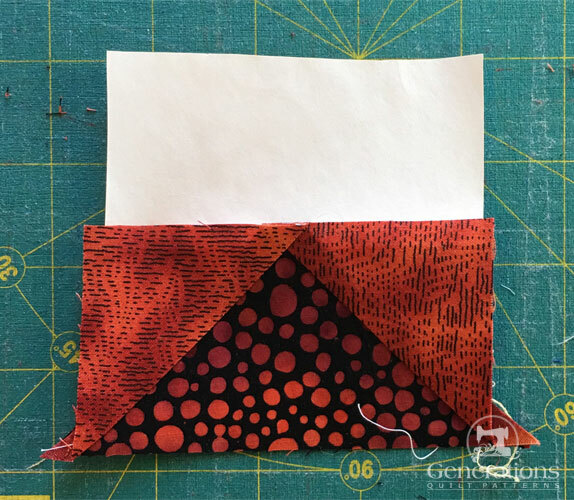 For the sample block a dark background fabric is used, even though a light is shown in the block drawing. That's because I think it's easier to see on the drawing. It's fun to experiment. How will you color YOUR block? 1	 Bac	 1	 3⅝"	x	3⅝"	 4⅝"	x	4⅝"	 5⅝"	x	5⅝"
2	 Dark	 1	 2⅜"	x	2⅜"	 2⅞"	x	2⅞"	 3⅜"	x	3⅜"
3	 Dark	 1	 3⅝"	x	3⅝"	 4⅝"	x	4⅝"	 5⅝"	x	5⅝"
4	 Bac	 1	 2⅜"	x	2⅜"	 2⅞"	x	2⅞"	 3⅜"	x	3⅜"
Paperpiecing is an efficient way to make pairs of Flying Geese—you only have to trim the pair at the end instead of trimming each Goose as you go along. And even better, those points don't get cut off! 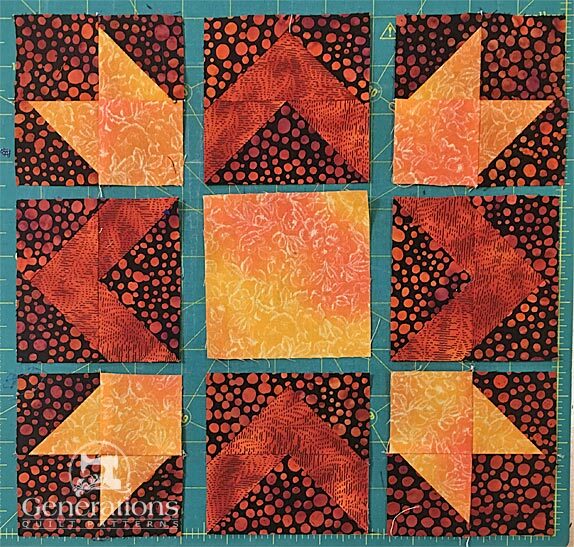 Use a dab of Elmer's Washable Glue Stick to stick the backside of a #1 patch to the unprinted side of your paperpiecing pattern. Use the dashed placement lines for quick, fool-proof positioning. With RST, line up the raw edges of #1 and the first #2 patch. 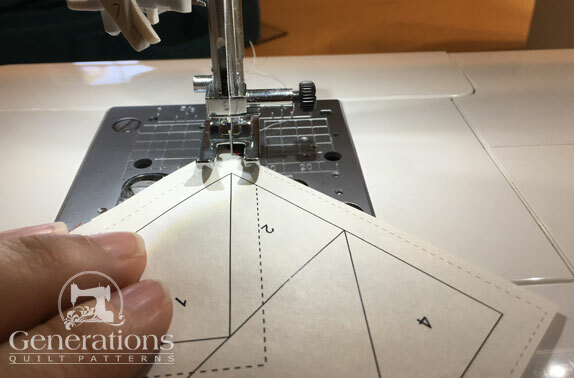 Start your stitching starting a bit more than a 1/4" from the solid line between #1 and #2. End a generous 1/4" past the solid line. Future stitches secure this stitch line. 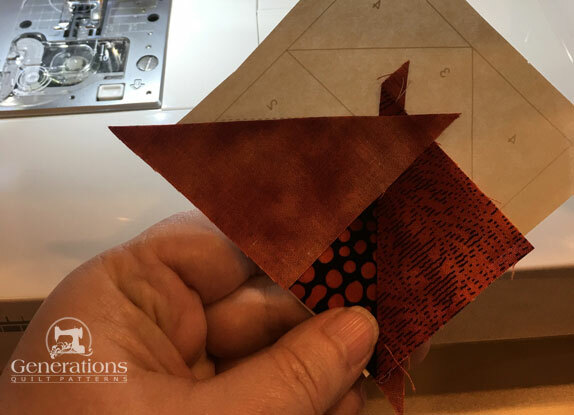 With RST, align the raw edges of the second #2 and #1 patch. Stitch as before. 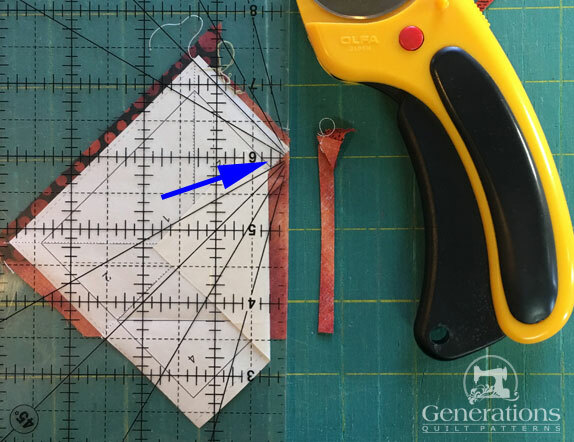 Trim to establish the next SA by lining up the ruler with the solid line between the #2s and #3. 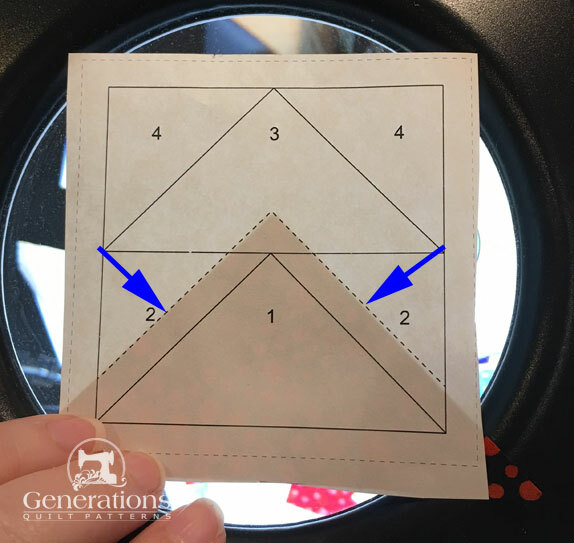 Fold the paper back on itself along this line and crease with your finger. You will need to pull the pattern away from the stitches. The paper may rip a bit...that's normal. If it's too much, use a bit of Scotch Tape to repair the pattern. Don't iron the tape. 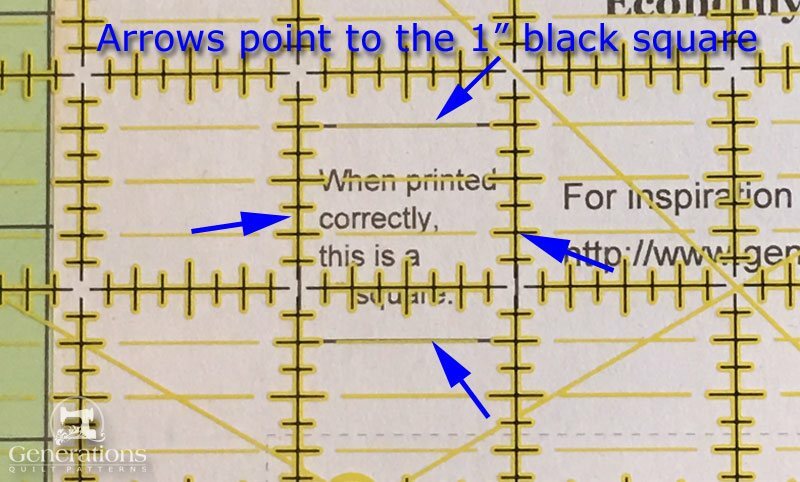 Now align the 1/4" mark on your ruler with the fold. The ruler extends a 1/4" past to create your SA. Trim away excess fabric. Position the #3 even with the cut edge for perfect placement. 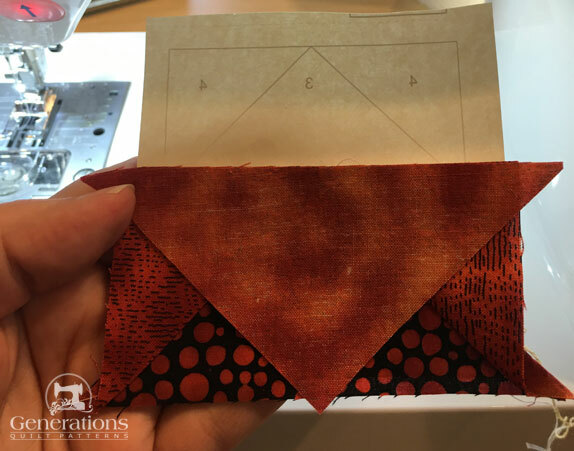 This time you'll fold and then trim a 1/4" past the two lines between the #3 and #4s. Add the final two #4 patches. This is what the units look like before trimming to perfection. 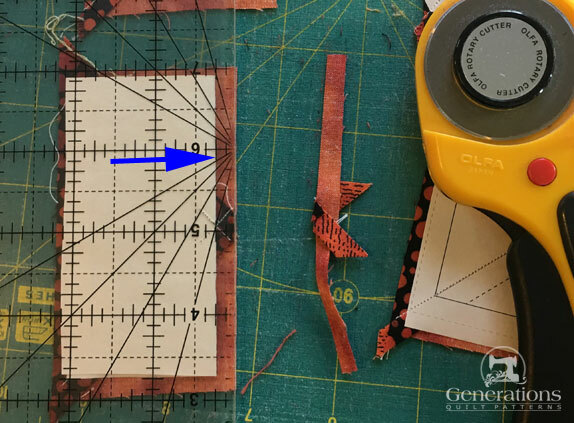 Trim to size by placing the 1/4" ruler marking along the outside solid line and trimming off the excess with your rotary cutter. Repeat for all four sides of all four units. Here they are all ready for our Royal Star block. 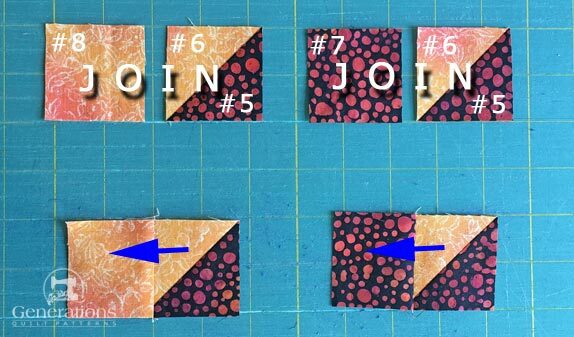 We use the 8-at-a-time method for making our HSTs. 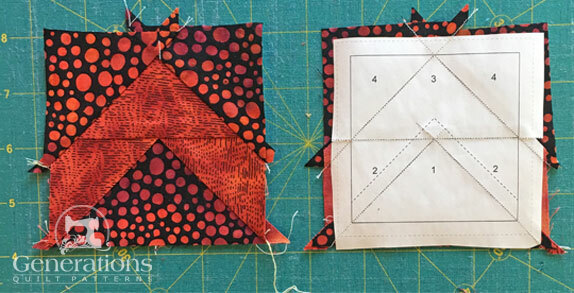 If you plan to make many blocks, you may want to use another HST method like triangle paper. Switch to your favorite quarter inch foot for the remainder of the stitching. 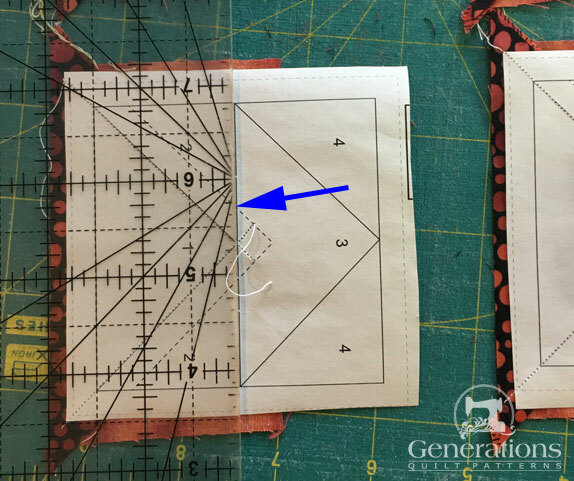 Increase your stitch length to the one your normally use for piecing—no paper to perforate now! With RST, stitch a quarter away from both sides of both lines. Give the unit a quick press to make it nice and flat. Next we cut the pair of squares (#5/#6) into four equal smaller squares. 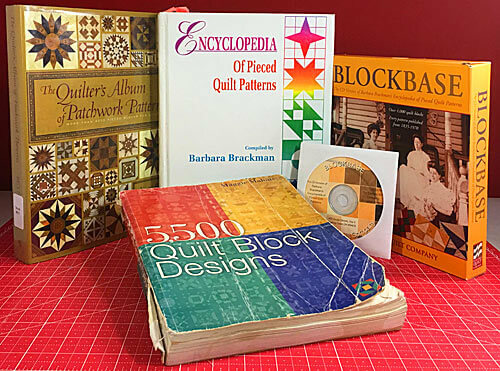 In the chart below find the Center Measurement that corresponds to your chosen 'Finished Block Size'. 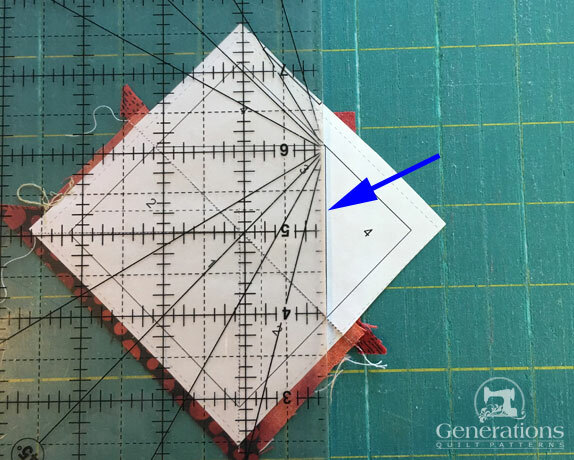 At the cutting mat (I love a rotating mat for this cutting because I can swivel the mat instead of disturbing the patches), align the Center Measurement mark on your ruler with the edge of your block. Cut through the center. For our 9" finished sample block, the Center measurement is 2-5/8". 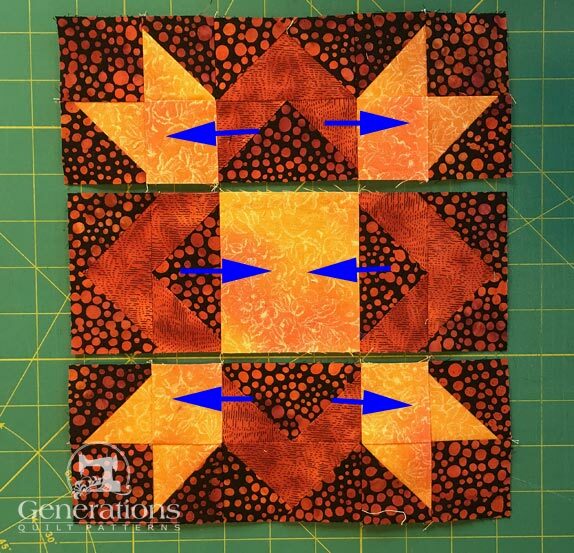 Turn the block a quarter turn (that's where the rotating mat comes in handy. Nothing moves except the board), align the Center measurement with the edge again and cut. You now have 4 equal squares. 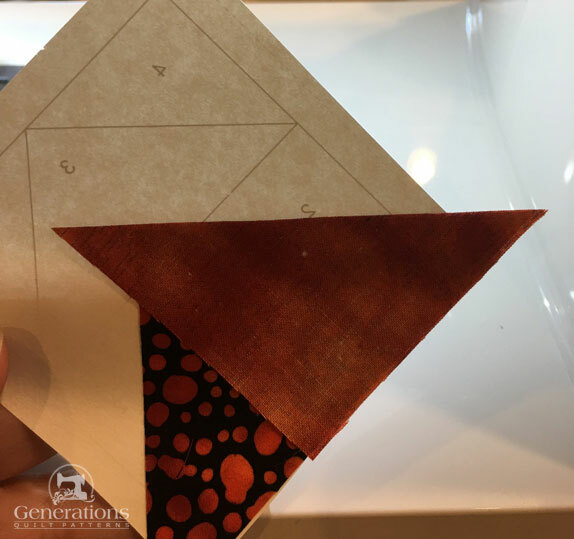 Cut each square in half on each diagonal to create eight HST. All that's left is the pressing and trimming! 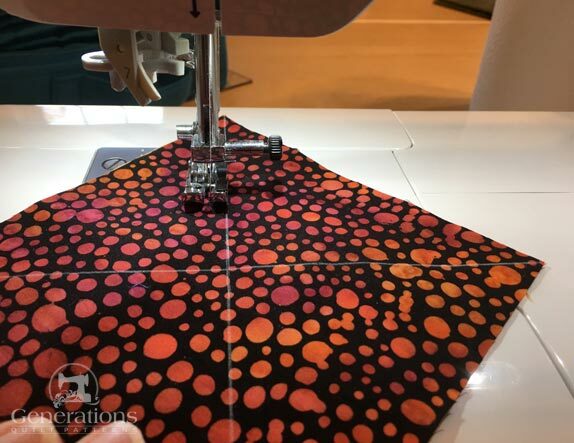 SAs are pressed toward the darker fabric. 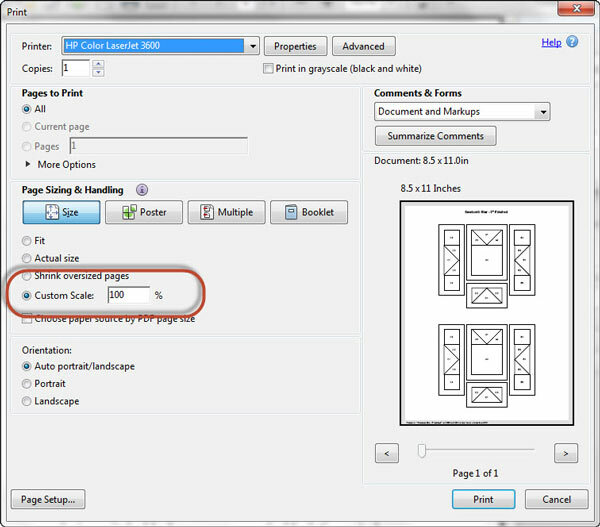 Returning to the chart, find the 'Trim to' measurement that goes with your block and trim your units to perfection. 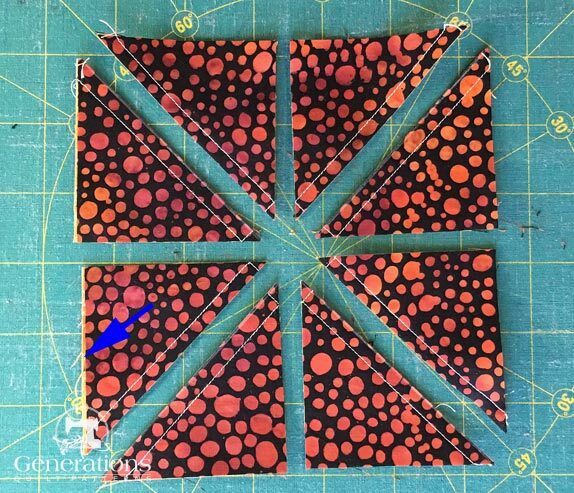 The HSTs are trimmed to 2"x2" for our 9" sample. With RST, stitch a #8 to a HST and a #7 to another HST. SA are pressed in the direction of the arrows. With RST sew the two pairs together, then press SA in the direction of the arrows. Repeat for the three remaining pairs. 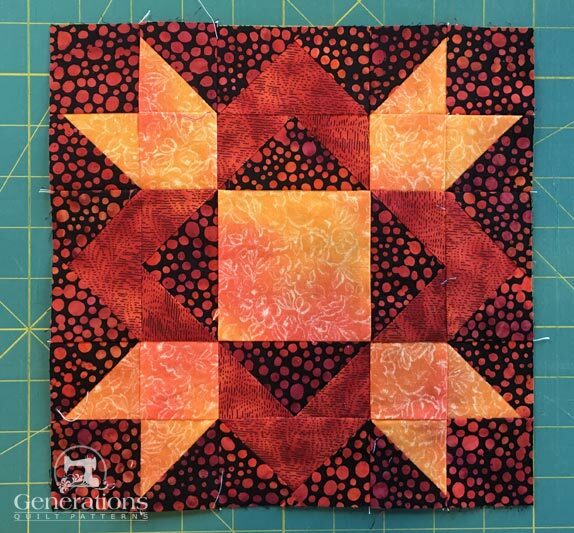 Arrange your patches into the Royal Star design—the background squares are in the outside corners, the medium squares are toward the center. Did you catch it? The Flying Geese in the bottom row is upside down...always good to double check before stitching! With RST, stitch the units into rows. SAs are pressed in the direction of the arrows so that they'll nest. That makes matching seams easier. And finally stitch the rows together, pinning as you need. Presto! Our Royal Star quilt block is complete! 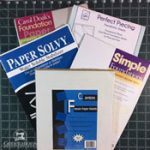 While I love paper piecing Flying Geese pairs for their accuracy, I recognize that many don't care to paper piece. If that's you, may I suggest the Weathervane block. It's virtually the same block—without a goose in sight. Find the instructions for it here.